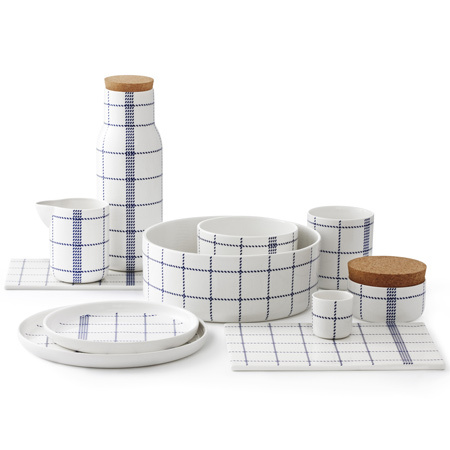 I adore this kitchenware by Danish Designer, Gry Fager. I much prefer having glass and ceramics in my kitchen to plastic and dishes that can be used one moment and then stored in the fridge or the cupboard the next. I also like a kitchen that is modern but with a heavy vintage influence, think: state-of-the-art retro, or modern farmhouse. With that I really love the balance of old and new in her work. The organic formations and textile finishes are just so lovely to me. I especially love her stitches series which give the look of hand stitching - and those wood and cork toppers, love! I love them all. 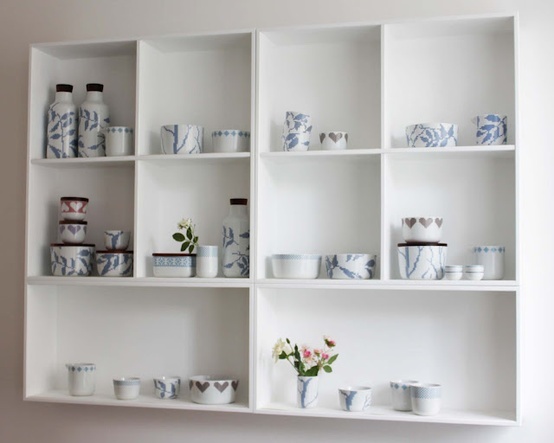 I've always been a fan of blue and white crockery but this is such a subtle colour and unusual pattern. 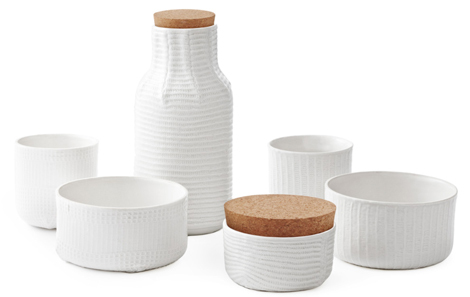 I think the white with the cork are my faves. Just stunning. Although I do like the stitchery too. Hmmmm...hard to pick a fave! Modern farmhouse...Love that! I wouldn't mind having that entire shelf in my kitchen! 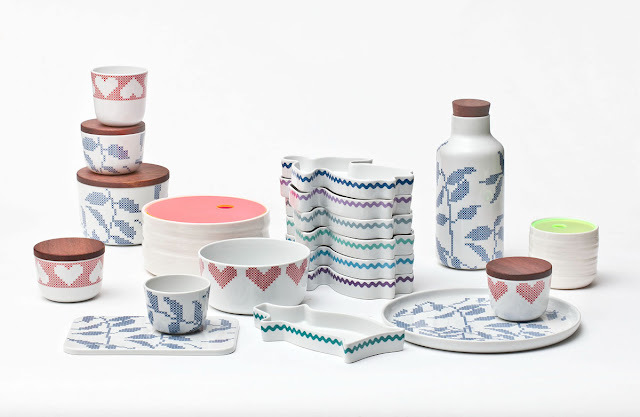 I'm so with you, glass and ceramics make everything look so much more beautiful and homey. I love the stitching details on these. So whimsical! I'm sorry to hear you've been ill! Get better soon! What beautiful kitchenware!Glass and ceramics and a little copper are my preferences for the kitchen.